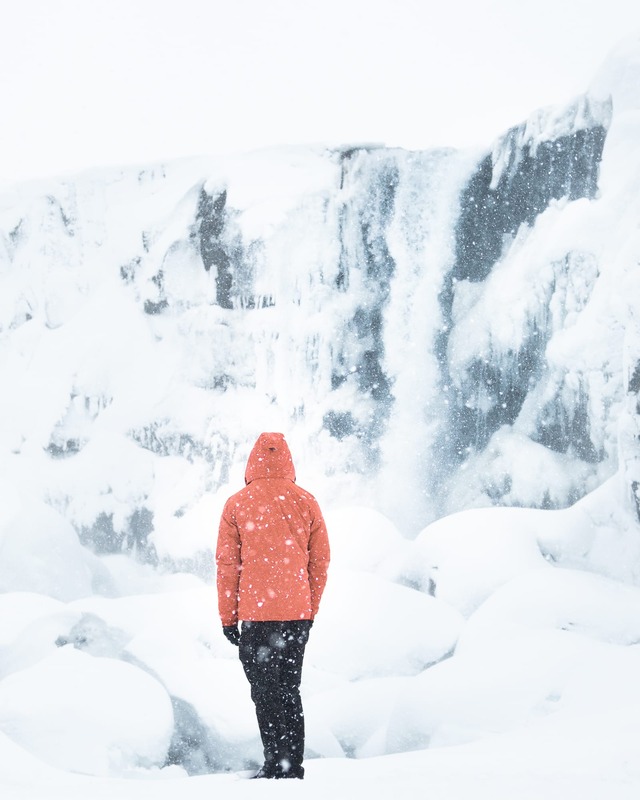 If you want winter vibes but with longer days, then Iceland in March is for you! It’s been a funny month where the snow has melted completely a few times then come back again in intense blizzards. Some days we’ve had snow, sun, hailstones and rain all in the space of an hour, it’s very entertaining to watch. There’s no guarantee of snow in March as every year is different here, but we’ve had quite a lot this year. 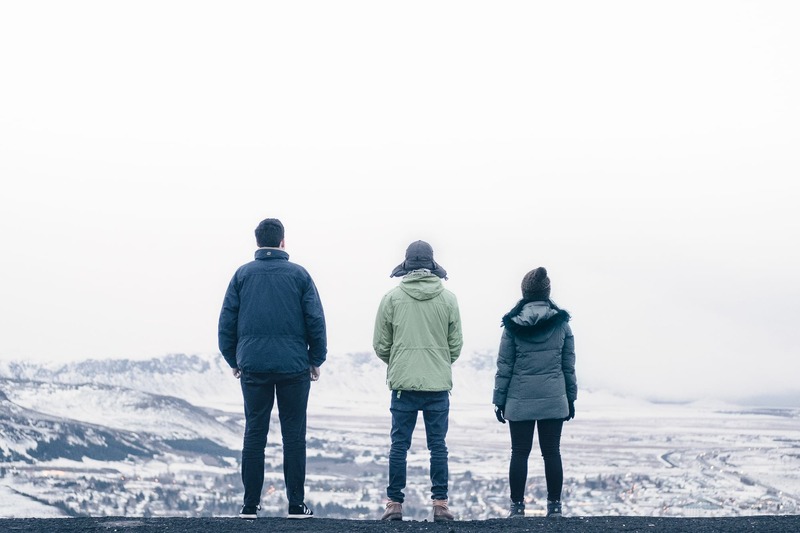 The day length in March is also fun to observe: in Reykjavík on March 1st the sun rises at 08:36 and sets at 18:45, but by the 31st of March it rises at 06:50 and sets at 20:15! Here are our top 10 photos from this month, taken by Cat Gundry-Beck. 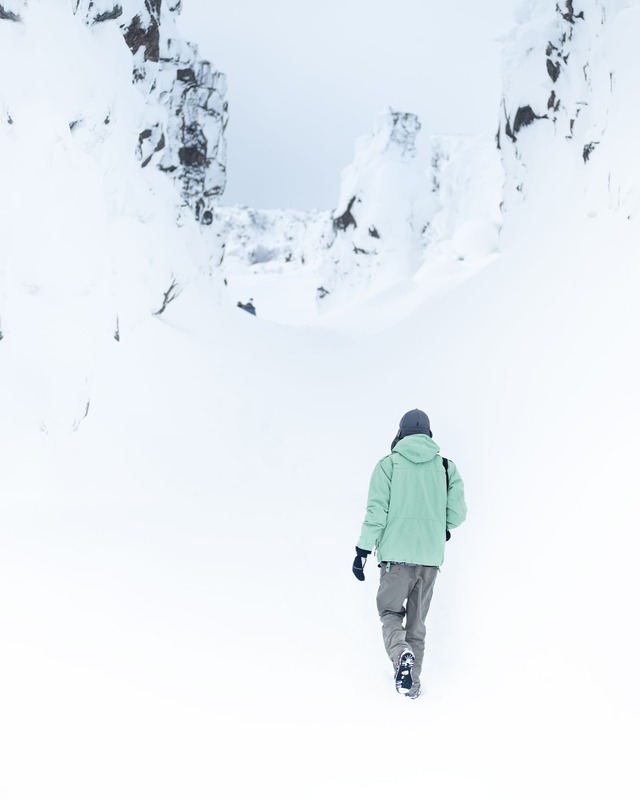 Walking towards Sólheimajökull glacier on our south coast tour. 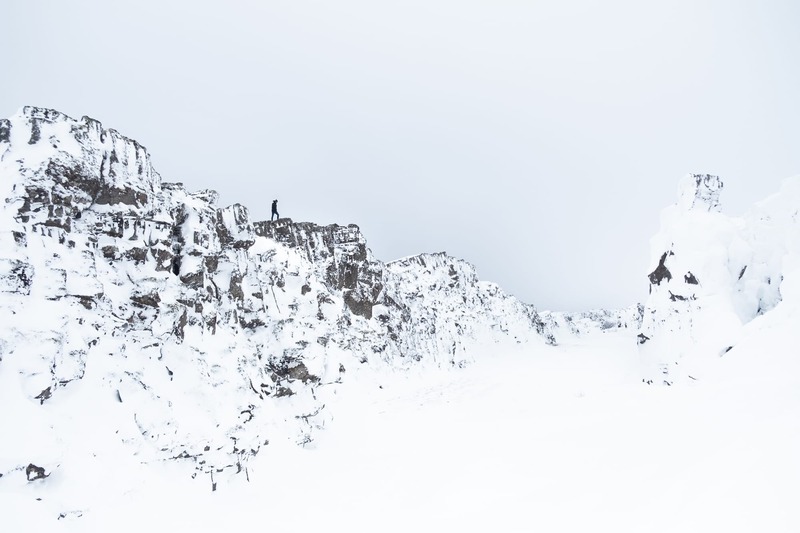 Standing beside Öxarárfoss in Þingvellir while it’s snowing is quite a magical experience! 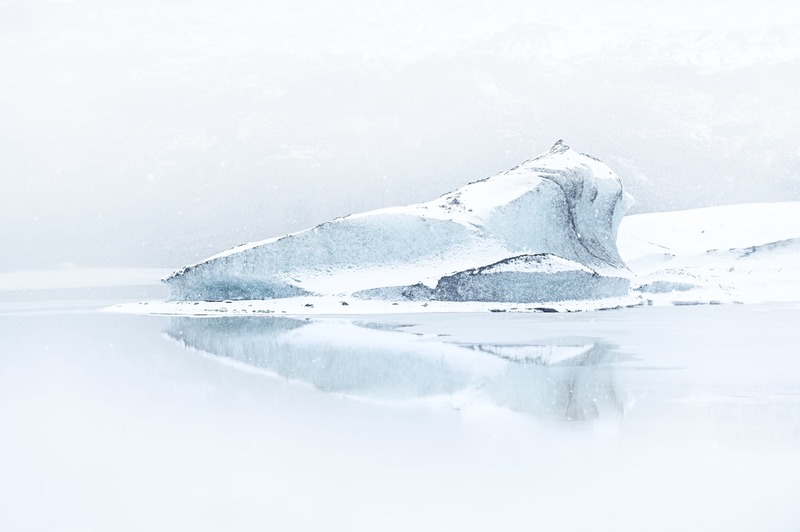 A tranquil scene of an iceberg floating beside Sólheimajökull glacier. 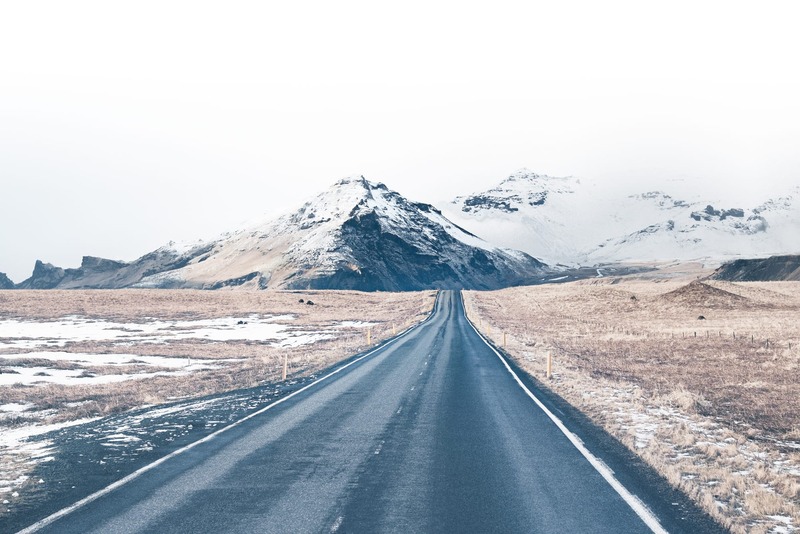 Driving in Iceland is never without beautiful scenery to watch out the window! What a view at Þingvellir. Winter wonderland. This was taken on March 23rd after a huge snowfall and by March 27th, the snow was almost completely gone from this area! The ash you can see on this detail of a glacier is from a volcanic eruption. Little grass-roof huts like this are dotted all over Iceland! The view over the town of Hveragerði is an impressive one. Iceland’s landscape is always dramatic and photogenic!